The CNC Piranha XL with Touch Plate, Dust Boot and a Set of Six Solid Carbide and Carbide Tipped Router Bits and Powered by a Bosch Colt PR20EVS.! 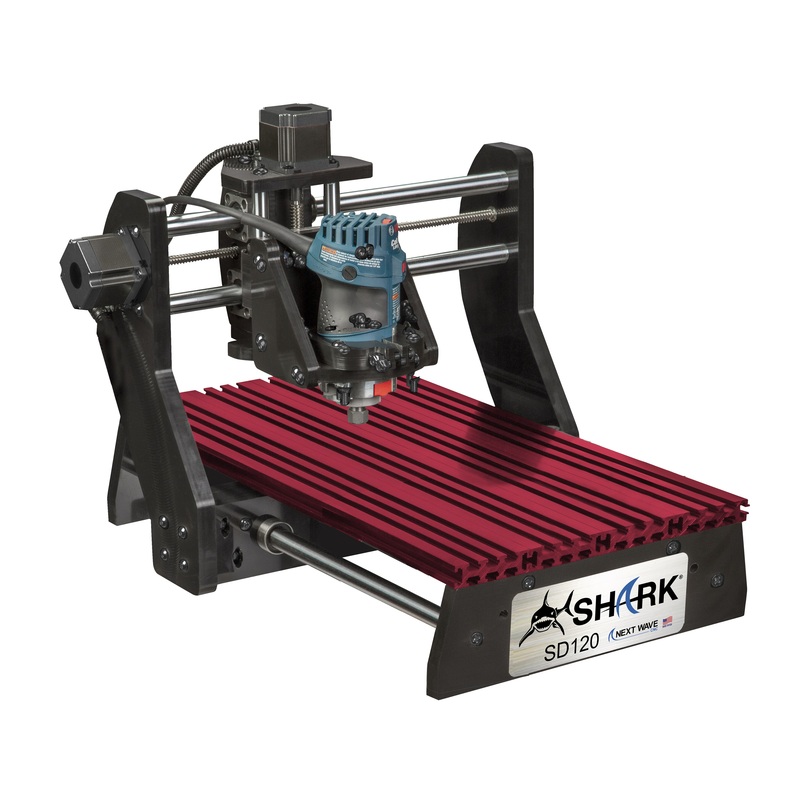 The CNC Piranha XL® takes the Piranha series one step closer to a full size CNC for the fraction of the price. Its large 12'' x 24'' cutting area makes it perfect for projects like carvings, plaques, ornamental boxes and precision parts machined from wood, soft metals, or plastics. With its 3D carving capability, including a 3D models library, you can carve expensive corbels, cut intricate inlays and engravings. The creative potential is unlimited and the entire machine can easily fit on one end of your bench. Just design your work with the included VCarve Desktop V9 Design software on a PC computer with USB 2.0 port ( not included) Then simply save the program directly to a USB flash drive, plug it into the Pendant, select your file, and hit the run button. No need to have your computer subjected to a dusty shop environment.